The company said that there was no risk to surrounding areas and communities near the Rheinmetall Denel Munition plant. 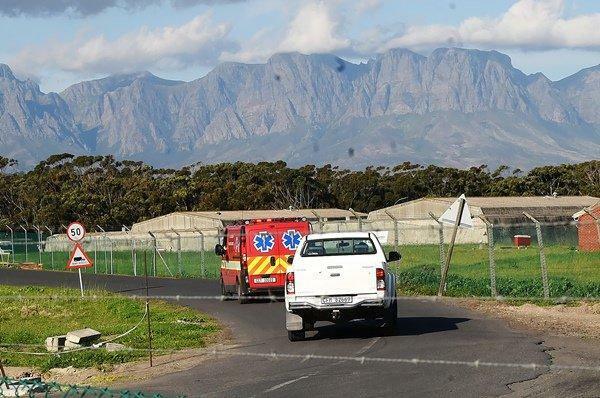 Rheinmetall Denel Munition (RDM) has reassured residents that the company’s Somerset West site, east of Cape Town presents “absolutely no risk to the surrounding area and communities”, the company said on Saturday. In all instances, RDM complied with and exceeded the national labour department and international safety standards, RDM said in a statement. An explosion at the RDM facility killed eight people on Monday afternoon. RDM said the building where the incident occurred was used to make a propellant as part of the production process. Importantly, the chemicals which were used in this process were present in the air and therefore would not negatively affect air quality. “There are about 400 buildings on the Somerset West site, each designed in such a way that if there is an incident it will not affect the surroundings. In this case, for example, the blast walls ensured that the pressure wave did not spread from the building and was rather directed straight upwards,” RDM said. This was because RDM defined and calculated “explosive circles”, which meant that buildings were spaced so that if an incident did occur, it could not affect other people or another building. The size of the circle was determined by the operations within the building and RDM adhered to the national and international standards which made provision for the circle to include a maximum possible affected area. All circles were within RDM’s premises, so any possible effect was limited to the perimeter of the site. The surrounding communities could therefore not be affected by any such incidents. Staff members were continuing to receive trauma counselling and had been “sharing their messages” for the affected families in a condolences book that had been placed in the Somerset West site’s foyer. RDM continued to support and care for families, who remained the priority during this heartbreaking time. The company would continue to issue daily updates to the community and to media, but could only release the names of the dead once the identification process had been concluded and only after consultation with the individual families who had been affected, RDM said. Rheinmetall Denel Munition RF (Pty) Ltd is a high-technology company and an integrated manufacturer and supplier of selected munitions and explosive-related products for armed forces and police in South Africa and around the world. RDM is “a strategic partnership” between Rheinmetall Defence of Germany, which has a 51 percent stake and Denel SOC Ltd of South Africa which has the remaining 49 percent stake.